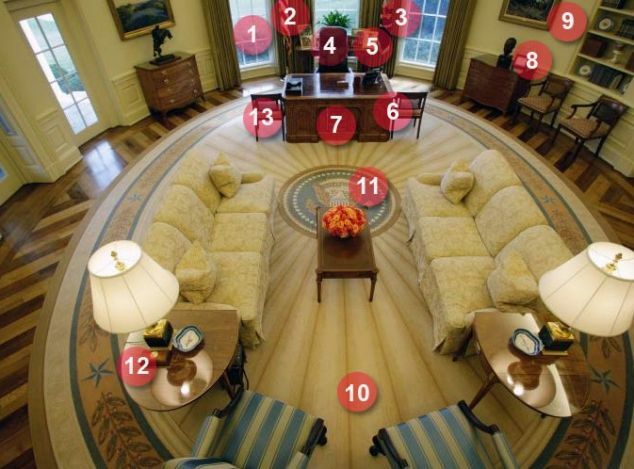 Why does it look similar to President Obamas floor in the Oval Office at the White House? Notice MJ pose on that cover. He has his hand over his heart like we do when we say the pledge of Allegiance to the flag of the US. Now I have been thinking for a long time about a connection here between this and the death "hoax". Im trying to make a connection to Obama meeting with the pope when MJ "died". The meeting seemed so secretive. Plus, from that im trying to figure out why MJ wore so much Catholic symbolism to his trial. Future post coming on that too. Also on the day that he "died" a law was passed here in the US that is considered the biggest threat to our freedom in this country. MJs death news was a distraction. More to come on this when I get it all together. Well ......it depends ......for whom :icon_geek: .Definitely for "them"it's a Ha-Ha laughig one........on the other hand,for "us" is Ah-Ah crying one :icon_mad: . And yes it's deeper.......deeper ,very depper and ancient "dark distraction"........I have to add .F..k them all :images:!!!!! No, this is not a ha ha hoax. I remember an article from Firpo Carr where he said something like we may not be ready for the truth. I totally agreed with him then and still do. And back to the topic - have no idea why the floor looks like Michaels collar but it could be related showing that OBama is involved which I have always believed. The stripes displayed in court during Murray's trial also reminded me of that collar. Has anyone seen this design anywhere else in relation to MJ/the hoax? Can anyone post the video here of the design in the courtroom of Murrays trial? And remember the # of stars on the seal is not correct either. There are supposed to be only 31 but there are 32. I just thought of something else that has stripes on it. Not sure if it relates to the hoax or not, but Michael is wearing a suit with the same stripes and there is money in the jacket pocket. 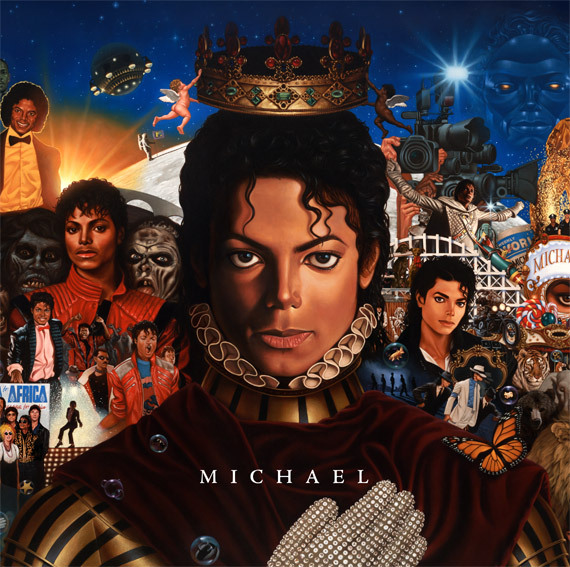 In the mural of the Michael cd there is money floating around in the right bottom corner (by the kids). I put the Michael cd cover, the Oval office, the courtroom and the jacket together. How would all of these link together? Oh one other thing, that tie that Michael is wearing reminds me of the tie Murray was wearing to court that one day and the one the old man at the funeral was wearing. This was the third of four singles that were released from the Jacksons’ 1980 album “Triumph.” Of these, it reached the lowest Billboard Hot 100 position (#77); however, it has since become by far the most well-known and popular song from the album. Most recently, it was associated en masse with Barack Obama’s presidential campaign via radio, YouTube, and mash-ups; it became something of an unofficial campaign song in the Chicago area. Wow, I was wondering when more things were going to show up connecting Obama. And yes those 7's again! 7 + 14 =21 which is 7 + 7 + 7 = 3 7's on the TII shirt. On April 4th, 2011 we launched our campaign to re-elect President Barack Obama. That is what Michael said in TII. Maybe I'm jumping the gun a bit here, but doesn't this remind you of Off the Wall? I have always believed this hoax has a much deeper meaning, to reveal what is happening in our world, especially symbolic that the Service held at Staples center on 7/72009 distracted the world from the new law which was passed and the pope calling for a one world religious authority, getting ready to usher in the New World Order. I still believe this today, they even speak about it openly on the TV in the UK but people are to asleep to even notice. L.O.V.E. What new law was passed on 07/07? It was a law that would take away our rights to own guns here in the US. It was the NDAA. Nation Defense Authorization Act. That is the biggest threat to our constitutional rights in the history of the USA. That would cause a lot of problems. Could this be the beginning of martial law? Was MJ trying to tell us that and hint around to Martial Law with the SWAT team/soldiers coming in the auditorium during the hologram? Notice the situation with "MICHAEL Brown" in Ferguson, MO led to the president sending in 10,000 troops. They patrolled the streets. Protestors are everywhere. All over the country right now. Police officers are sadly being killed. And this all started recently with a young man named MICHAEL in Missouri. Hmmm. Read between the lines people. We were warned.